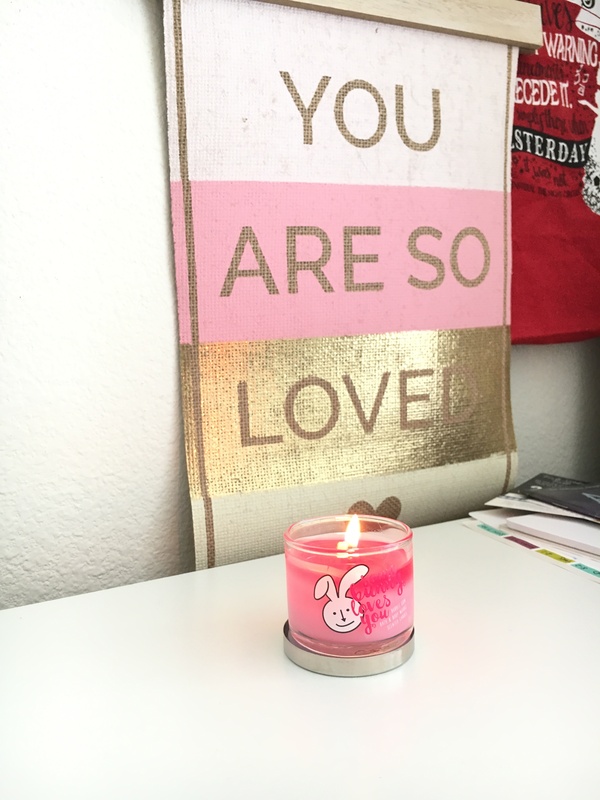 If you're like me and you missed out on The Sweet Shop Bubblegum candle then you were probably excited to hear that they came back out with it for Easter but only as a mini candle called "Some Bunny Loves You". Which ironically fused together do make a prettyyyy strong bubblegum scent! Crazy, right?! Oh, well, I thought so lol. I have the bigger version as you've seen in my previous blog post but I don't want to burn it cause it's the only one I have though I'm SO CURIOUS to know if the bigger one has a better scent throw. The scent throw sadly for this small one is pretty... non existent. Which is really sad! On cold sniff it's SO strong. Like I think if I just left it open it might have thrown it better lol! When lit this doesn't smell like anything. I don't know if it's just the first burn that's like that, but I haven't burned it again. I personally feel like ever since Bath & Body Works stopped working with Slatkin & Co the candles, especially the mini candles don't have a very strong scent throw anymore. This is also true for some of their other 3-wick candles. I do love the scent of this --- I've been super attracted to Bubblegum and Cotton Candy scents for awhile now, I'm not sure what the reasoning behind this is besides that it seems like a happy scent and everyone could use a bit of happy through their days! I may very well give in and light the bigger one just to see if it makes a difference. I just wish the bigger one wasn't so hard to track down! I see they have the Lavender Marshmallow, Lemon Drops and a few others still in stock on the site (which I'm thinking of buying another of these also so I can light the ones I have and not feel guilty) but a lot are also missing. Strange. Have you purchased this mini? Were you able to get your hands on a Bubblegum candle?